Are you looking for a bit of variety in your social media content? Do you want something that may be a bit of fun and stands out a bit. 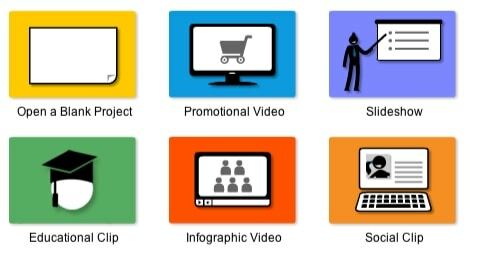 Animated videos are cool and funky and there are some video animation tools that can help put them together yourself. So here goes, here are 5 animation video tools that we have reviewed. Sparkol puts together a video using a hand drawing simulation. 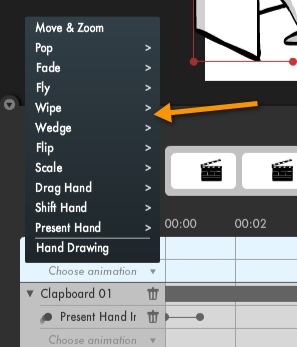 So a hand is on the screen drawing out all the elements you add to your animation. It’s a desktop based app so you have to download it to your mac or your pc. 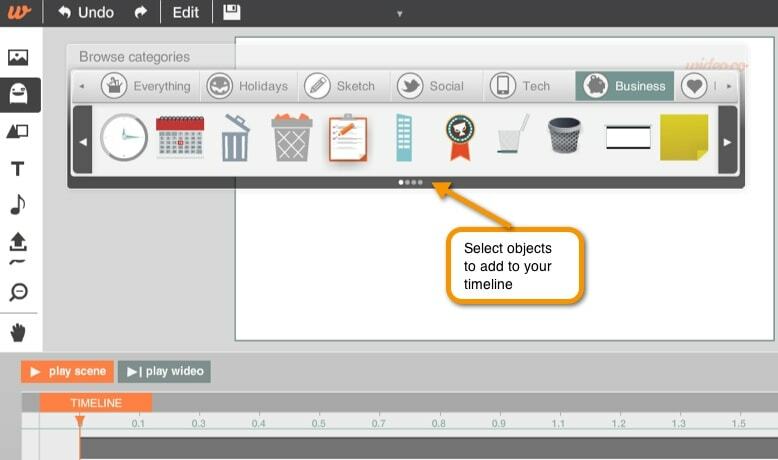 When you launch videoscribe you are presented with 3 templates you can use. If you want you can use these examples or start off with a blank canvas. select this template or create a new one. You then start adding elements to the page in the order you want. For example I added a text box. When you replay this it is animated and a hand draws out the text on a screen. You can then start adding some images from your computer, a web address or from a library of hundreds of images available. As you add elements you are building up your animation. 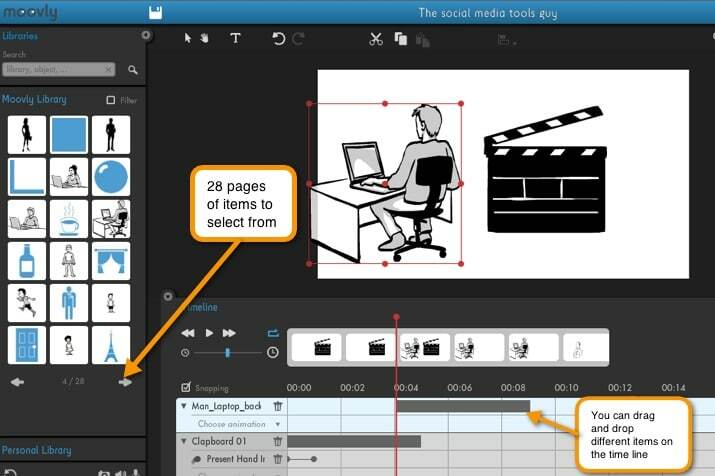 A sequence is then created and you can add animation to each sequence and build up your video. It’s easy to drag and drop different elements to different parts and play around with what works best for you. In the sequence you can specify how long it takes to draw out the images on screen. My Opinion: I was impressed with how easy it was to use and at $25 per month that’s a good price. Price: $79 per month or $29 per month if you pay for a year in advance. Higher pricing options also available for agencies. 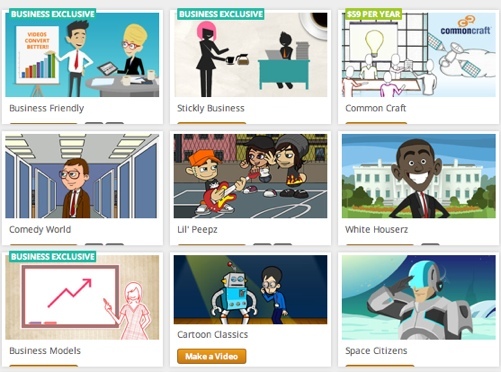 Powtoon is a web based app. To start off you select the template you want to base your animation on. When you select a template you have images/content that are relevant to the template. You can select from a library of images which includes characters, shapes, hand positions, text effects etc. You can also upload your own image. You build up your animation in slides and then it plays one by one. Creating slides one by one is useful as it’s similar to scenes in a movie. 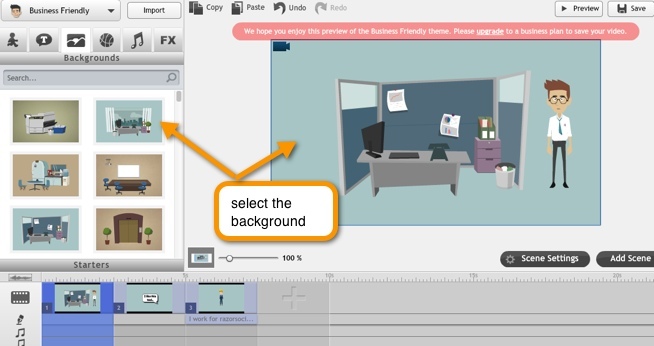 Here’s is an example of a video created with Powtoon. My Opinion: It’s more expensive than Videoscribe, but Videoscribe can produce better videos as it has a much larger database of images to choose from. Price: There is a limited free version and the paid version is $9.95 per month, however, the $9.95 version has a small Moovly watermark which won’t be acceptable to a lot of people. The business level package does not have any pricing listed. When you launch Moovly you are presented with 3 options. The only difference that I could see between the option is that there were some different library options you could choose from (i.e. objects you can include in your animations). You are then presented with a blank area to start defining your Moovly. You drag in items from the library or upload your own images and start building your script. One thing that is nice is that for each element in your movie you have a lot of great options for selecting the style the object is drawn e.g. brought into the picture with a hand, faded in etc. When you initially launch Moovly you can select an option to create a display ad. I tried this option out also but it doesn’t work properly. You are presented with a narrow banner like area and when you drag items from the library into this area they are far too big. This shows that this functionality still requires work. Moovly are due to release a new version so check back again soon! Here’s an example of a Moovly animation complete. My Opinion: There’s no way I will release anything with a Moovly watermark on it so the $9.95 pricing doesn’t apply and there is no pricing listed for the non watermark version. This tool has potential but there’s still work to be done before it’s the finished product. Pricing – There is no pricing available on the site, probably because it’s still in beta. You select the object you wanted added to the screen and then add animation. For example, you can add an element and then easily get it to move across the screen. If you don’t want to use the standard objects provided in the library you can use your own. I couldn’t find a good video for this product. The video on the site was marked private so I couldn’t access it. My Opinion: This product has a nice user interface but it’s still lacking a lot of functionality. It’s free at the moment but I’m sure there is a watermark on the videos produced. Wait until the product is fully released and revisit. Pricing: From $39 to $79 per month. GoAnimate is quite an advanced tool that can provide similar animation to the tools mentioned above but it also have some very advanced capabilities for creating animations that are based around stories with characters in an environment. So when you start off you can select the most appropriate template. As you can see they have characters, color and are easy to build up a story based on them. When you select the template you then add in the animation. For example, you can add in an office environment and a person. You can add text so the person speaks and then you can get it to move onto the next scene. With a bit of time you could easily create a reasonably professional video! Here is an example video that you can produce. My Opinion: GoAnimate is a really interesting and powerful tool that certainly should warrant some more time investigating it. If you want to stand out from the crowd producing animated videos is one way of doing this Video blogging can take time but this form using animated videos can actually be quicker. 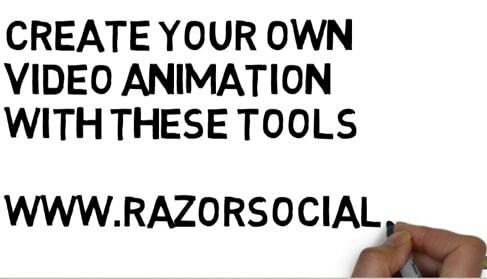 With the software mentioned above you could easily create your own animated videos. So what’s stopping you? What’s your opinion of the software mentioned above?